The 7Sisters Project works with colleges, universities and community organizations to host live talk shows for college-age women. Each 7Sisters Live Summit is a series of fast paced, unscripted, edgy, talk-show-style conversations with rotating panels of girls from diverse backgrounds sharing their feelings, opinions and views in front of the audience. From body image to bullying, fashion to food, race to relationships and everything in between, we bring young women. together to talk about the issues ALL women face regardless of race, religion, gender identity or culture. The entire audience has the opportunity to speak and to be filmed at every event, giving girls an unprecedented platform to exchange ideas and their voices to be heard. Female student filmmakers get behind the camera and capture the live, face-to-face conversations for online streaming, connecting girls around the world and spreading powerful messages of empathy, respect and self-determination that lift women up. 7Sisters LIVE Summits. 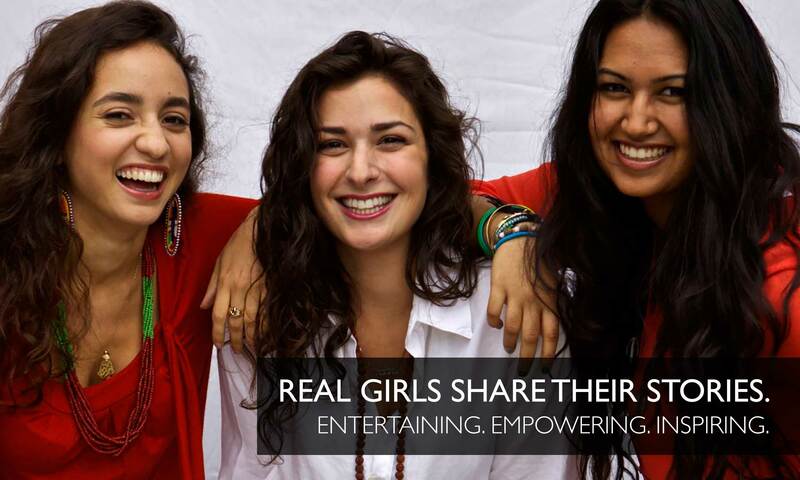 We put real girls front and center and amplify their voices. THIS IS THE MOVEMENT THAT WILL CHANGE THE WAY PEOPLE THINK ABOUT YOUNG WOMEN. 7Sisters Live Summits are where girls talk about how to live in today’s world as a woman, straight up. No celebrity hosts. Just real girls. Sharing our stories helps us to understand what is really going on so we can have our own opinion about things and make decisions for ourselves that make sense. It also means recognizing the unique challenges women face no matter where we live or what our culture is and sharing ideas and experiences to help each other grow. Real girls need a place to talk about real issues, to recognize our power and beauty, and help others recognize it too. That’s what the 7Sisters Project is all about. “Manhattanville College is thrilled to host a 7Sisters Summit here on our campus. It has always been part of the mission of the College to promote a community characterized by compassion and understanding. There is no better way to continue this effort than to invite students to come speak about who they are, what they are thinking, and what is important to them. That is the first step toward true inclusion.” –Lisa M. Dolling, Ph.D. is Provost and Vice President for Academic Affairs at Manhattanville College and Professor of Philosophy.